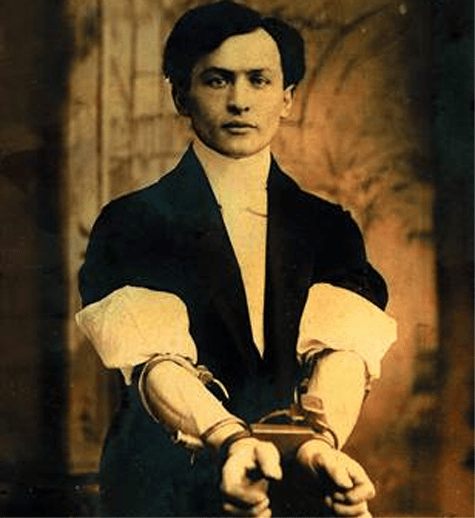 Houdini was a master magician as well as a fabulous locksmith. He boasted that he could escape from any jail cell in the world in less than an hour, provided he could go into the cell dressed in his street clothes. A small town in the British Isles built a new jail they were extremely proud of. They issued Houdini a challenge. “Come give us a try,?” they said. Houdini loved the publicity and the money, so he accepted. By the time he arrived, excitement was at a fever pitch. He rode triumphantly into town and walked into the cell. Confidence oozed from him as the door was closed. Houdini took off his coat and went to work. Secreted in his belt was a flexible, tough and durable ten Inch piece of steel which he used to work on the lock. He got it out and started his magic. At the end of 30 minutes his confident expression had disappeared. At the end of an hour he was drenched in perspiration. After two hours, Houdini literally collapsed against the door. The door just opened. In aw and shock Houdini almost had tears in his eyes. ‘What just happened? it opened itself!’ he exclaimed. You see it had never been locked – except in his own mind –which meant it was as firmly locked as if a thousand locksmiths had put their best locks on it. One little push and Houdini could have easily opened the door but thanks to his perception he never tried that. Many times a little extra push is all you need to open your opportunity door. You don’t get opportunities, you need to make them. Learning: There is no harm in trial, there is only learning. Source: Based on excerpts from a newspaper article. Rewritten by Abhinandan Chatterjee. I am doing a bit of research about goals. Please answer this poll, will be grateful.